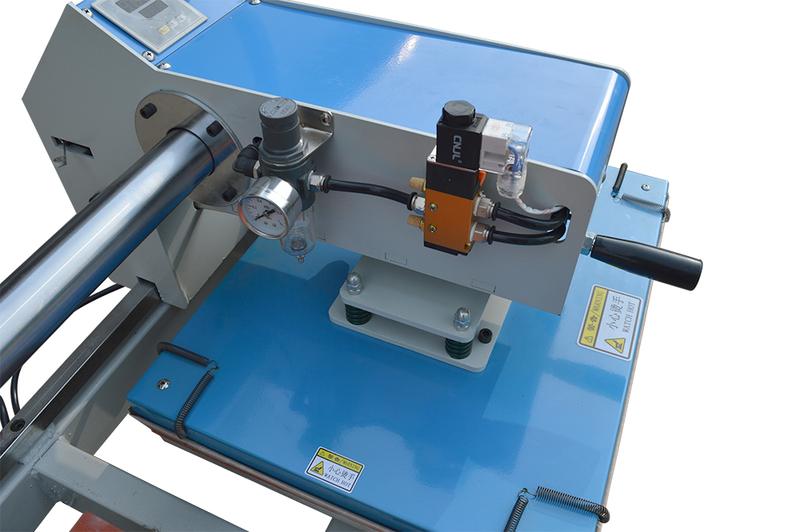 Double Station Pneumatic Heat Press Machine 16"*20"
This Pneumatic Double Table Heat press machine is featured by its two working tables and air automatic working system. 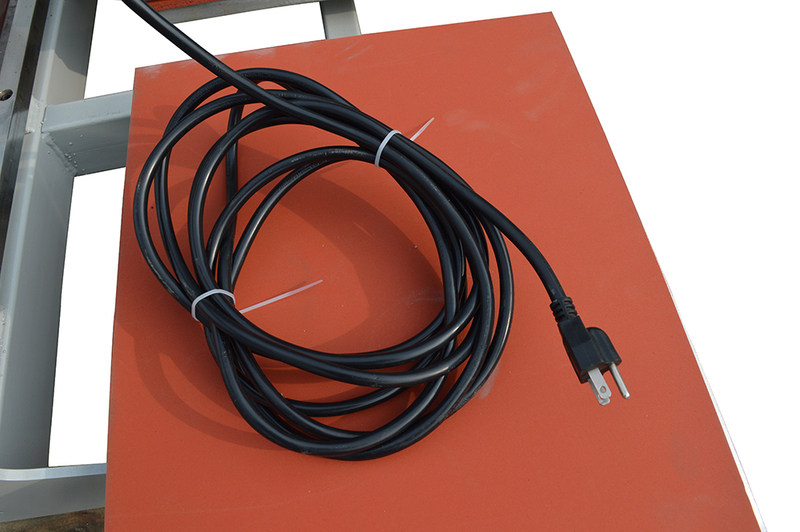 The upper heating board moves automatically and easily. It is very efficient for advertising use and industry use. 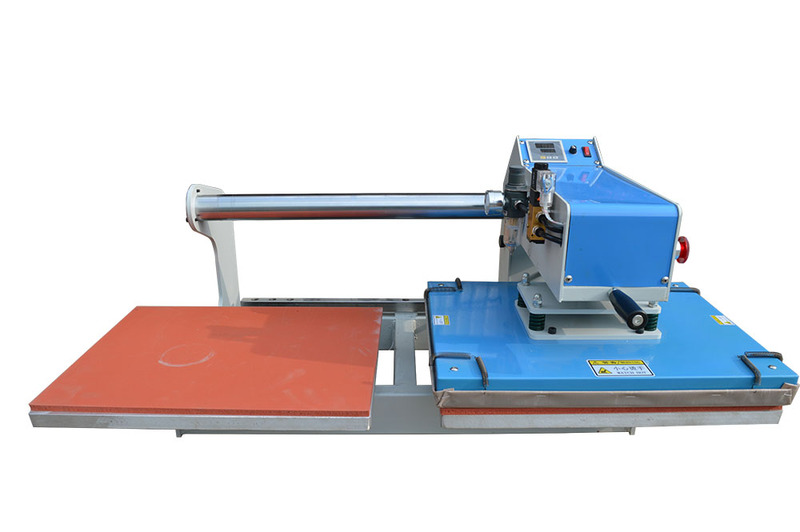 Heating panel and working tables are specially processed and make the machine works well and tranfer images clearly. 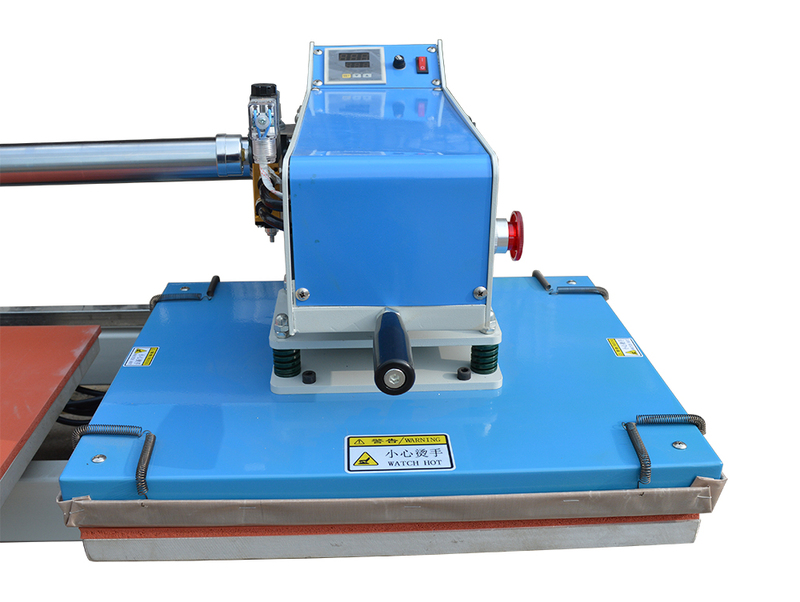 It's suitable for sublimation and heat transfer printing work. With CE certification and 12 months warranty! 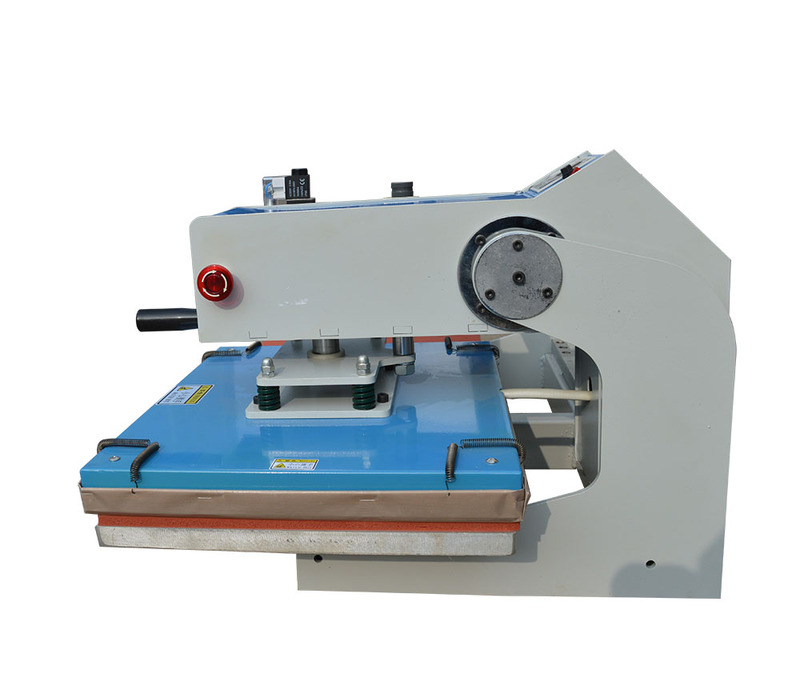 CE approved heat press machine. high quality as well as good price, good after-sale service. 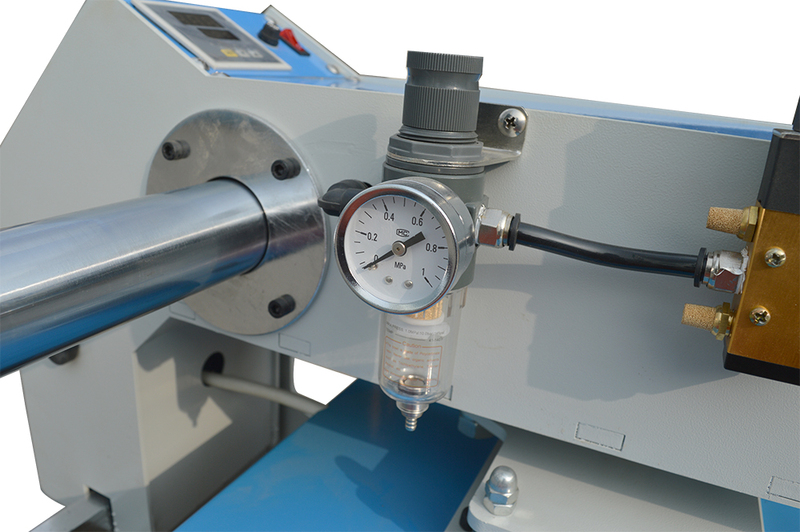 The machine adopted automatic pneumatic fitting pressure, it can transfer the lower pressure to higher compress pressure. 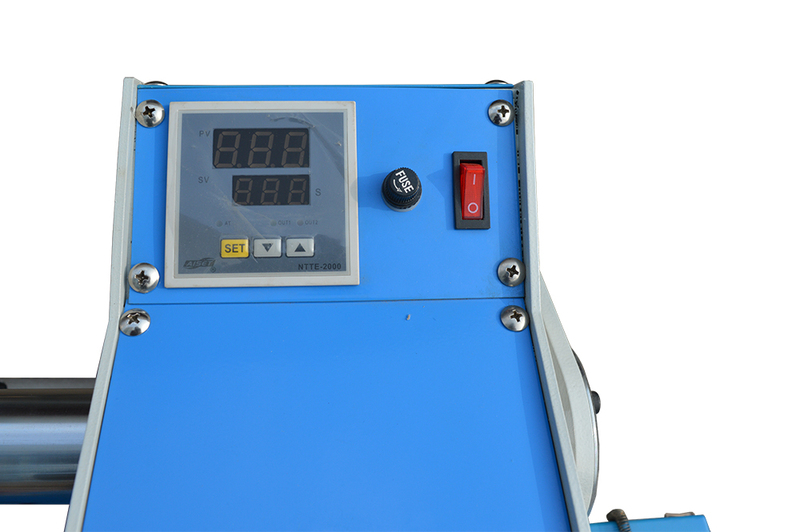 (pressure up to 8kg/cm2). It contains two locations, paralleled moving the head up left and right, much more convenient and faster, high efficiency ,save labor and time at one time. The pressure can be adjusted according to the thickness of the material you're transfering to. Including print the ready made clothes and cut pieces ,it can be widely used in the factory mass-production and personalized pyrograph of retail shops. please note: Users should operate the machine with ground wire connected for safety! 1.Plug in, turn on the power switch, the power indicator lightened. 2.Set the thermostat to the temperature needed (Normally 120-200ºC),set the timer to the needed. (Normally 5~20Second),then wait for until the temperature has reached the preset temperature. 3.Put the cloth on the silicone pad of the working table, cover the printing paper (please note the right surface of the paper). 4.Press the start switch, you will see the machine is working and the time is counting down . 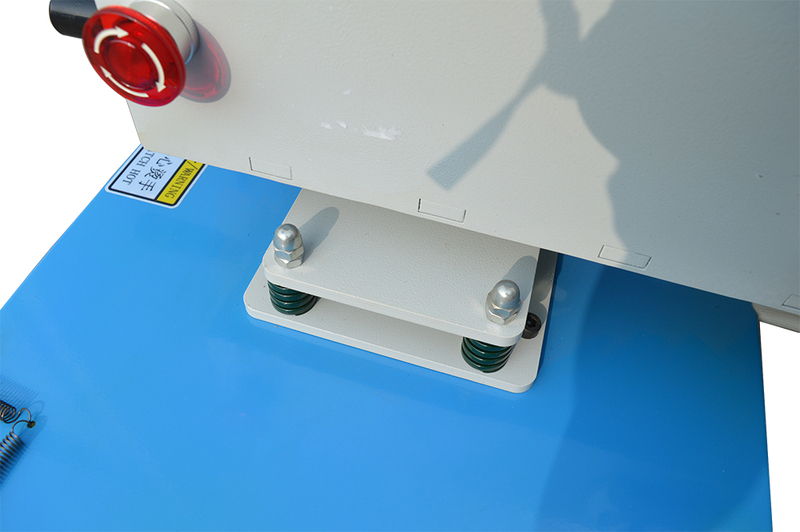 5.When the time come down to over, the heating plate will raise automatically. you will find the beautiful and attractive effect! 5-10 seconds, then rip off the transfer paper. If it is the hot-ripping of the transfer paper, you can rip off immediately after printing. 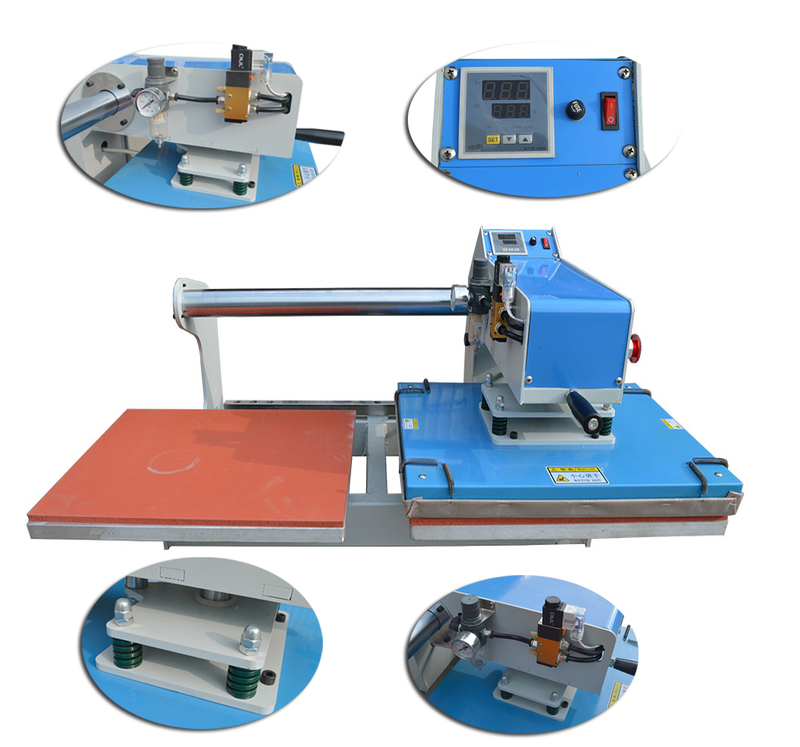 Please note:successful print requires right time,temperature and pressure,the thickness of the clothes material ,even thetype of printing paper,all will affect the performance of printing .Any kind of sublimation paper need test before mass production.